By the time Charlie was born we already had our beautiful daughter Lillie who was almost 3 years old, he was also blessed to have 5 older cousins. I was the oldest of all of my siblings and cousins and my husband had been living at home and had helped his sister when her oldest two children were born. We were unusual for couples of our age in that we were not new to the game of child rearing. We both had a fair idea of what to expect and how typical kids feed and develop. I hadn’t really planned to breastfeed Lillie in the way that some overzealous earth-mother types would have liked us to. But I said I would give it a go and I did. To my great surprise it was fairly straight forwards once we got through the initial few days of getting to know each other and by the time she was 3 months old it was like a dream. Back then I had no idea why anybody would choose to feed their baby in any other way. No bottles to wash or sterilise, no colic or sickness, just a contented, happy baby. We could take her anywhere with us without any of the usual baby paraphernalia. 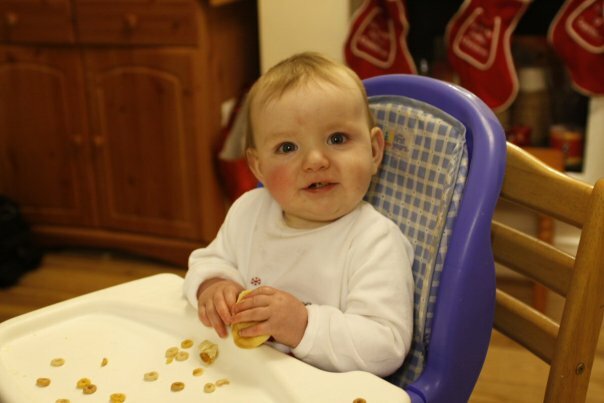 She fed, slept, and hardly ever vomited, later she weaned easily onto smooth and textured foods and at 6 months was happily eating weetabix, all sorts of other baby foods, finger foods and some table food. As she grew up she developed a taste for foreign and spicy foods. Working with refugees I had lots of international friends and she now has a great love of African samosas, Indian biryani, Mexican chilli, and her all time favourite spicy Spanish chorizo. When Charlie came along I was confident that I knew what I was doing, I was firmly committed to breast feeding and genuinely believed that this was going to be the easy option. Why wouldn’t it be? Breast feeding is not the most popular option amongst new mothers in the hospital where our children were born. As it turned out I was the only breast feeding mum on the ward, that didn’t bother me, I had had an emergency c-section, that didn’t really worry me either. Lillie had also been delivered by emergency c-section and I knew that the extra challenges that it had posed hadn’t affected my ability to feed her. However as soon as I started I immediately noticed a difference, Charlie struggled to find a position to latch on, and would often fall off. He would suckle milk for a few seconds and then stop, he never found a pattern of being able to feed for longer than a few minutes before it became too much for him and he would have to stop. As a result the milk he was drinking was not the fat rich kind that babies need to be able to grow and develop, and so he was hungry and cranky. The infant feeding team came to support us, but could not really see what was different about him or why he wasn’t feeding well. We attended feeding clinic every week, they lent us a pump and one of the feeding specialists would even come to our house on her way home from work at night. If nothing else, for a short time we were very well supported by professionals. We persevered for 6 very long hard weeks, Charlie would cry with hunger and I would cry in desperation to feed him. I had no idea then that this pattern was going to continue in one form or another for the next 4 years. I was determined to make it work. It had worked for Lillie, it’s a really healthy choice for both mum and baby, and it honestly had been the easy option first time around. I suffered through all sorts of horrors, 2 bouts of mastitis and eczema infections. I tried everything I could think of to make it work and took all the advice I was being given. But finally at 6 weeks I realised that the plan was failing, I was failing, Charlie had not regained his birth weight. His inability to feed effectively meant that he was starving. On the advice of the infant feeding team we began to supplement him with infant formula. Not only did i feel guilty for not supplementing sooner I felt like a failure, I was devastated. Even after 4 years I still don’t have the words to describe the agony of not being able to feed my child, it is such a basic need that should be so easy to meet, the instinct of a mother to be able to feed and protect her child is incredibly deep seated and the inability to meet that need causes a pain equally as deep, the devastation I felt at not being able to breastfeed however was only the beginning of the very long hard road we had just begun walking. For a few days he was happy, he had a mixture of breastmilk and formula, he settled well and began to sleep through the night. The dream was short lived though as he drank more and more formula he became more and more uncomfortable, he would cry and fuss and arch his back and eventually vomit violently and then sleep. The health visitor and doctor were convinced that he was just fussing because he preferred one type of milk over another, they said that it was colic, or that the milk needed a thickener added to it. They prescribed infacol and gaviscon and insisted that this was normal. 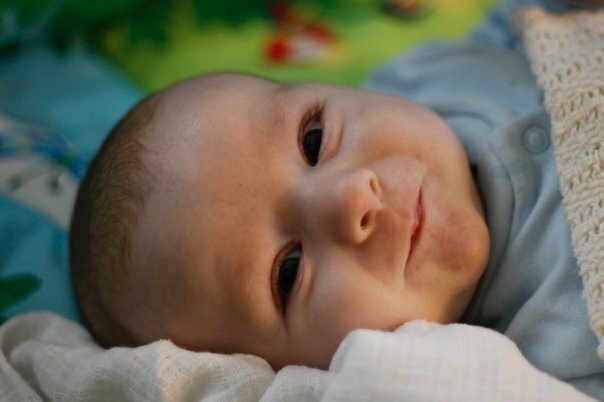 By the time he was 3 months old I was convinced that this was not normal, normal babies even those with colic don’t cry for 6 hours straight and then vomit violently before eventually sleeping for 6-8 hours. In the middle of one particularly dark afternoon I called the doctors surgery for advice, the receptionist begged me to come to the surgery to see the GP, I reluctantly gave in and agreed, even though I had no idea how I could face the short 10 minute journey to the surgery with Charlie screaming hysterically in pain. The receptionist was great, normally I view these people with deep suspicion, they have worse reputations than traffic wardens and can be as obstructive as prison wardens, but this lady was an angel, she stayed calm and calmed me and convinced me to make that journey. At first the GP told me the same information I had been told over the weeks and months leading up to this appointment. I often get the impression that many professionals think that this problem exists only in my head, but when Charlie began so cry and scream and everything she tried wouldn’t make him stop she finally had a revelation that this was actually a real problem not just a figment of my imagination. She asked me to change his milk formula to a soy based one and wrote a prescription for a small tin. Once again he was immediately like a different child, the change was impressive, within 24 hours I knew that things were different, I even called the GP the next day to thank her. Charlie was happy, and content, he fed and he slept through the night. But unfortunately once again the dream was short lived and within a week the soy formula had made him horribly constipated. It was a nightmare, the poor child had finally found a formula that he could drink but once again was in terrible pain. We were advised to get him to drink water. Now, I don’t know if you have ever tried getting a 4 month old baby to drink water? It’s not exactly like you can bribe them or negotiate with them or even force them, they will either drink it or they won’t and Charlie was not going to drink the water. The GP prescribed paediatric laxative, and glycerol suppositories, the situation was getting worse and Charlie was in even more pain. Just before he turned 3 months old we decided that we would try fruit purée, it worked well and so finally for 3 beautiful months we had found a balance. Life was good. When the 6 month mark came we began to introduce more adventurous baby foods. Charlie seemed to be very fussy about taste, texture and colour. For example he would eat sweet potato purée from a particular jar. However if I changed the brand or gave him homemade version he would refuse it. Transitioning him to stage 2 or 3 baby foods was almost impossible. He was extremely resistant and spat out or strongly refused to try anything he was offered especially if it was unfamiliar or had any texture to it at all. I had no idea what to do or where to get help. On the advice of a specialist allergy doctor were seeing at this time we reintroduced dairy products to Charlie’s diet. He enjoyed eating fromage frias, yoghurt, ice cream etc but within a few days all of the symptoms of the lactose intolerance which we had seen in his early days returned. We quickly recognised what was happening and stopped the dairy products immediately. Unfortunately most of the dairy alternatives available are soy based products. I had read articles about how soy products contain phytoestrogens which in large quantities can had a negative impact on the fertility of boys as they grow older. I worried about how much of his diet came from soy beans but as much as I struggled with this potential danger I still needed to feed him. I talked about my concerns with the allergy doctor however I found his advice unhelpful, he wanted to give Charlie a weeks trial of dairy products once every month. Having seen twice how severe the pain and vomiting caused by the dairy products were I didn’t want to do this to him again, and certainly not for a whole week, once a month, every month until he finally grew out of it. Charlie did try some finger foods, however he showed a strong preference for hard, dry, crunchy snacks, he liked crackers, rice cakes, toast, and cereal. Sometimes he would accept a little butter or cream cheese spread on them. He never engaged in messy play with his food, we have only one picture of him wearing his food, and none of his clothes ever had food stains on them. He also never put other objects or toys into his mouth either. What we found out years later is that all of these behaviours and difficulties are symptoms of sensory processing disorder, but at the time we were just baffled. The allergy doctor referred us to a paediatric dietitian, once again we detailed to her all the difficulties Charlie was having in accepting new foods, and the concerns we had over the soy formula and other soy products. She explained that it was her job to teach us what to feed our child but couldn’t tell us how to actually get him eat it. She acknowledged that we already knew what we were supposed to be feeding him, and although she could see our problem she didn’t know what to do about it. We told her that we felt that the food refusal was starting to develop into a fear of food. We asked her for play therapy as early intervention, because we didn’t want these early behaviours to become habits that would be much more difficult to break later on. She didn’t have access to this kind of therapy, but she thought that CAMHS (child and adolescent mental health service) might, so she discharged us and made a referral to CAMHS. The system moves fairly slowly and so there would be another 3 or 4 month wait before we could be seen by CAMHS which would take us to well after Charlie’s first birthday. On the day of his first birthday he didn’t eat party food, birthday cake, jelly or ice cream with the rest of us, he ate only what he was comfortable with, and what he has been comfortable with ever since…Cheerios and milk. The first year of Charlie’s life was difficult for our family in many ways, we were forced to move house, I was living with undiagnosed postnatal depression, my grandfather was sick with cancer and eventually died when Charlie was 10 months old. Papa Cheerio’s job was constantly under threat due to funding cuts. In the midst of all this the church we were attending decided to restructure, we were devastated to suddenly lose one of our main support structures during such a difficult period. Through all of these challenges the one thing which I have found the most difficult to handle was and still is the disbelief and lack of understanding I encounter amongst health professionals and nursery staff. Since the time Charlie turned one we have continued relentlessly to look for answers and ask for help. We have learnt how to turn to God in prayer for answers that we can’t find to problems that we can’t understand. I will write about how it went in more detail as I am able to. Gosh what a journey you’ve had so far Sarah! I can identify with the breast feeding part because our oldest and youngest child both struggled to latch on and feed successfully for a while. I came to dread feeding times in hospital, always being in the minority in the ward and being stubbornly determined to breast feed if at all possible. I did manage in the end but it was very stressful and upsetting at times. Our second child just latched on straight away with no problem which made our third child’s difficulties even more puzzling. Thank goodness ‘ Charlie’ has such great advocates in you two as parents. You are amazing Sarah and ‘Charlie’ is very lucky and a very gorgeous boy.